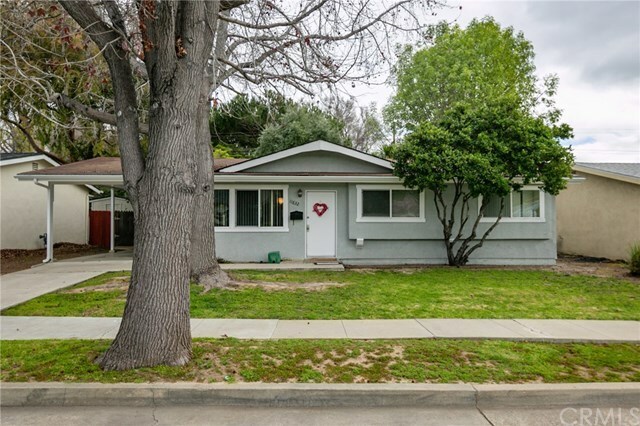 Located close to shopping and 101 access, this charming three bedroom, 1.5 bath home sits on a large shaded lot. Inside is open and functional. The kitchen is nicely appointed with a large amount of storage and counter space. The dining area opens to the living room and covered back patio offering a spacious feel and room for a family size dining table. Outside offers a carport, storage area and parking. Enjoy the fully fenced and tree covered backyard. Perfect for relaxing or entertaining. Directions: Los Osos Valley Road to Garcia. Left on Los Osos Valley Road.